The McDonnell Douglas F/A-18 Hornet is probably the world's most advanced air superiority fighter/attack aircraft and is often seen thrilling air-show crowds around the world. It is currently in service with the US Navy, the US Marine Corps, the Spanish, Australian, Swiss and Canadian air forces. 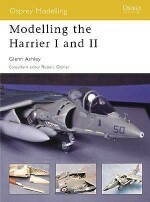 This title provides a detailed guide to modelling the Hornet in 1/48th and 1/32nd scales, covering a variety of colour schemes. The step-by-step modelling projects include a 'Gunslingers' F/A-18C USN Hornet from Operation DESERT FOX, an F/A-18D Hornet from the Royal Malaysian Air Force, a Navy 'Black Aces' F/A-18F Super Hornet and an F/A-18A ‘Top Gun'-school Hornet. 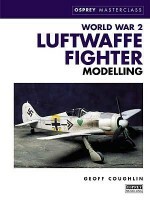 Geoff Coughlin is a highly regarded aviation modelling author. 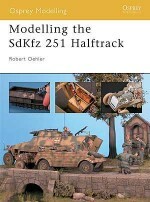 For Osprey he has previously written ‘Luftwaffe Fighter Modelling' in the Masterclass series, co-written ‘Modelling the F-4 Phantom II' in the Osprey Modelling series and has also written ‘How to Build the Tamiya Fairey Swordfish' for ADH Publishing, the publishers of ‘Tamiya Model Magazine International'. Geoff has a particular interest in 'heavy metal' aircraft, and the finishing and superdetailing skills he demonstrates when modelling such subjects are renowned. Geoff lives in Hertfordshire, UK.